Pick up everything you need to make this dish at your local Walmart. Yeah, they have a grocery section! You might be tempted just buy sauce in a can and call it a day. Don't. It will taste bland and you'll think I was crazy to say “I love this dish”. 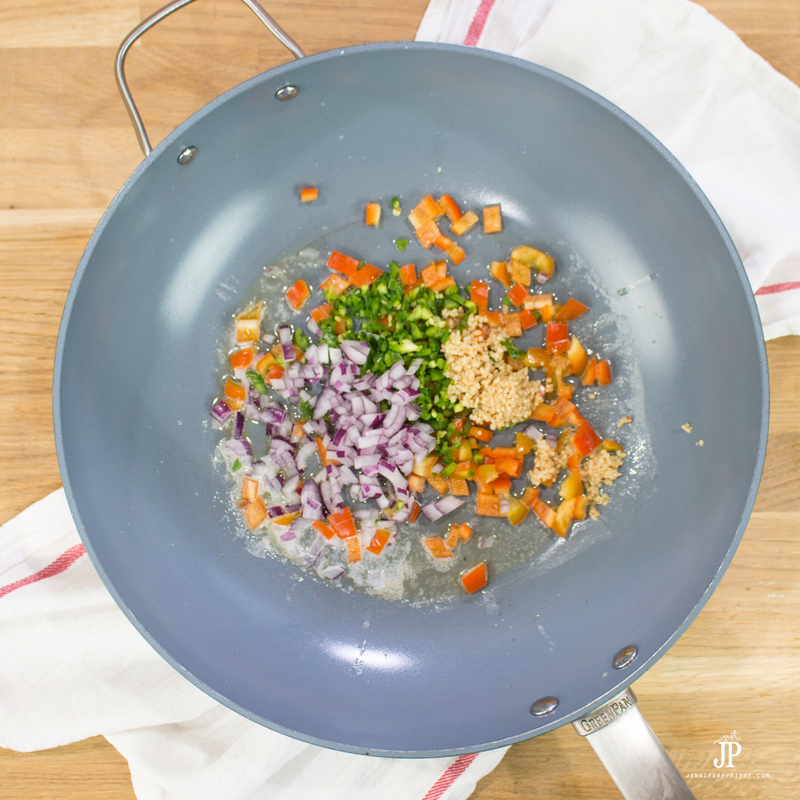 You also have more control over what is IN the sauce if you make it from home, yourself. 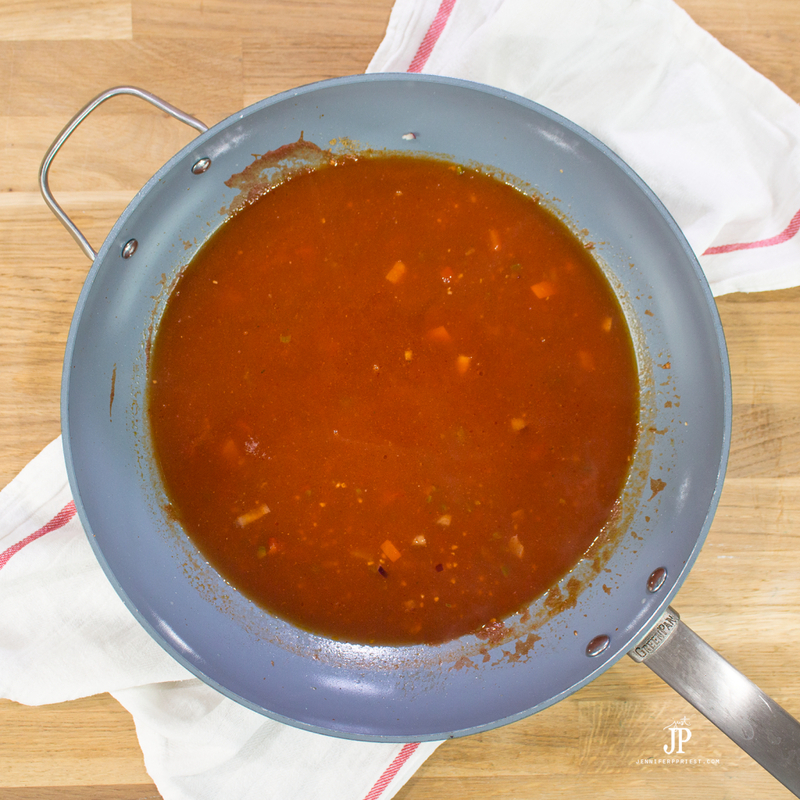 You'll need to pick up Knorr Caldo de Tomate Bouillon (Tomato Bouillon w/ Chicken Flavor) to give the sauce the most delicious flavor profile. To make Huevos Divorciados, first you'll need to make the sauce. 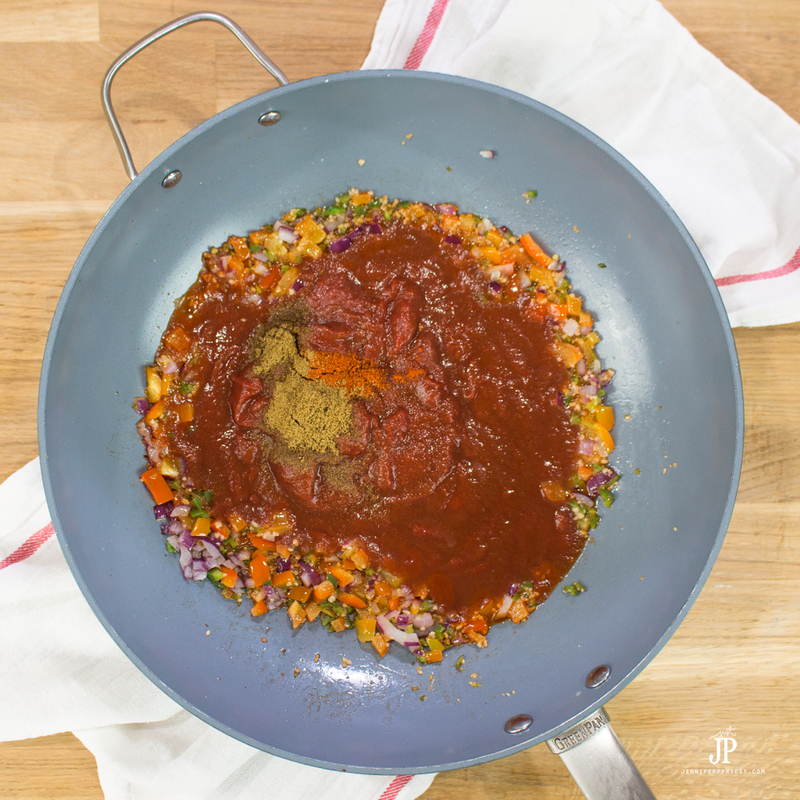 Click below to get the printable recipe for this yummy ranchero sauce. 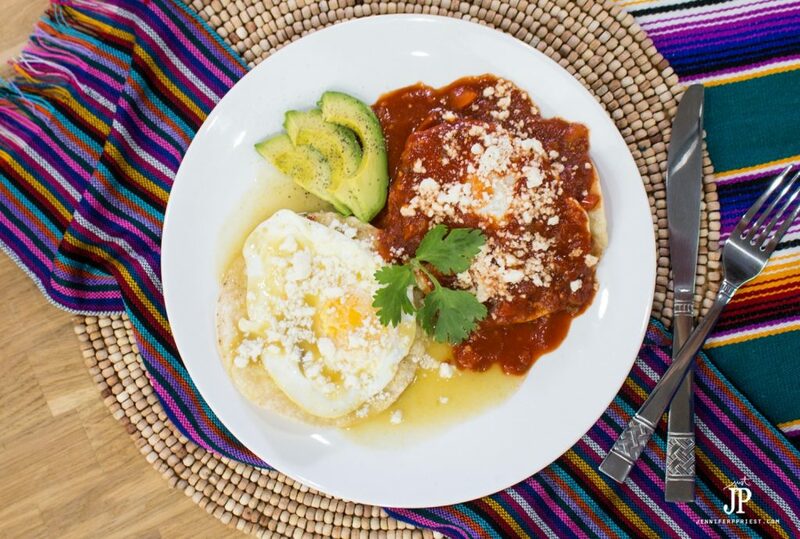 You can use this same sauce to make Huevos Rancheros. Or just spoon it over eggs or in an egg burrito for a yummy breakfast. 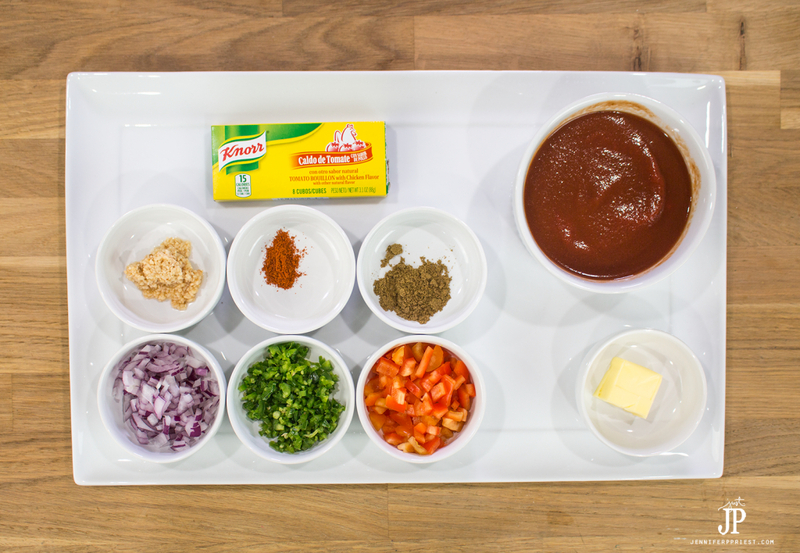 A quick and easy ranchero sauce recipe. Add all vegetables and cook until onions are soft and translucent. Add spices and tomato sauce. Mix well. Add prepared bouillon. Mix well. Simmer on medium to reduce and thicken. Melt butter in sauce pan. Add all vegetables and cook until onions are soft and translucent. 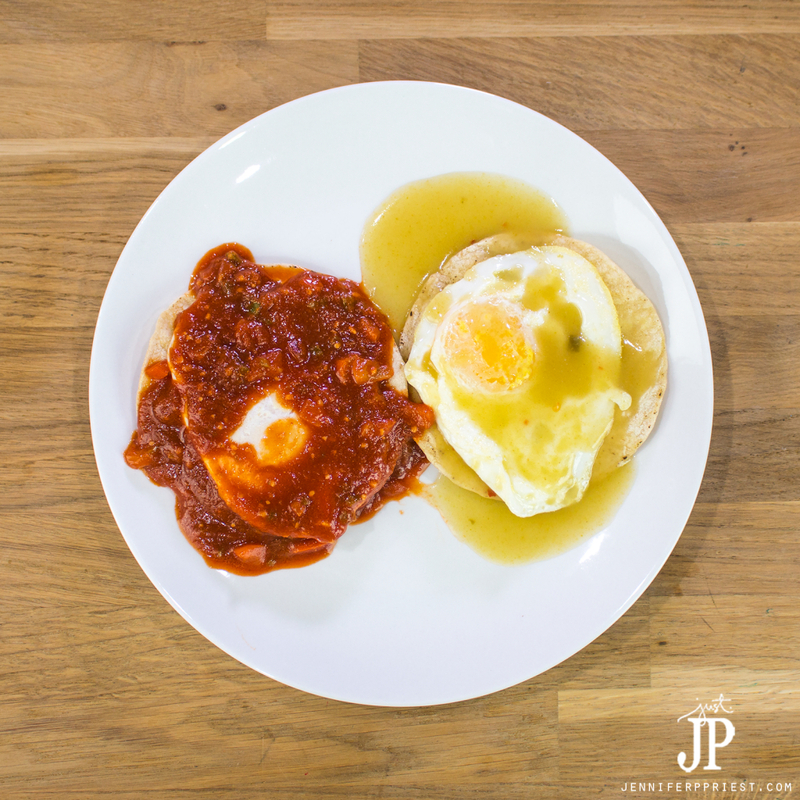 One serving of “divorced eggs” … such a delicious breakfast recipe for those who can't choose between ranchero sauce and salsa verde. Heat oven to 400ºF. 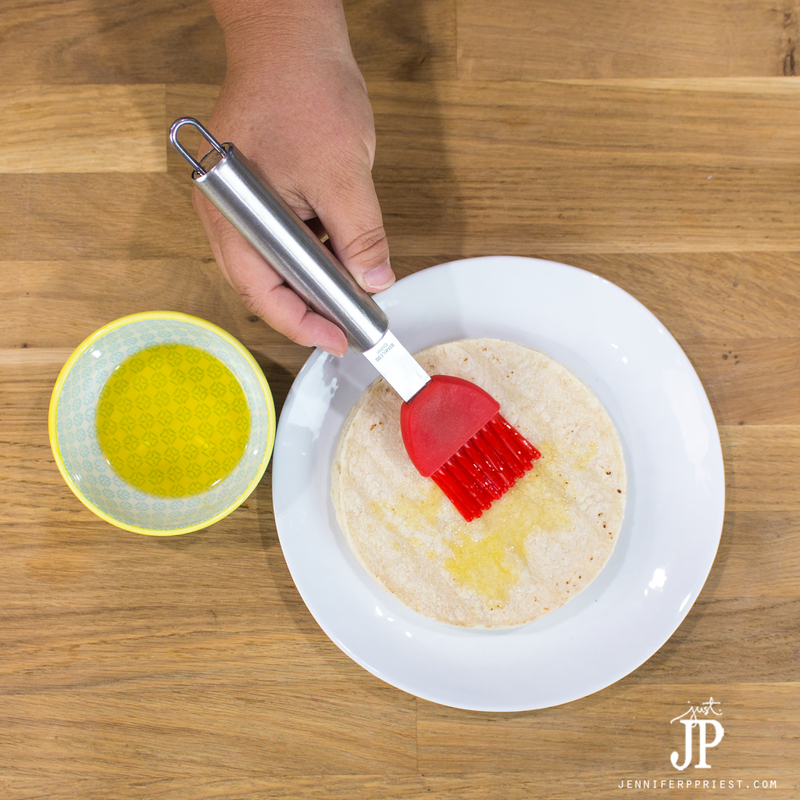 Brush tortillas with olive oil on both sides. Place the tortillas on a baking sheet. Place in oven for 6 minutes or until tortillas are crispy. Heat the sauces in separate sauce pans. Cook 2 eggs sunny side up, to the desired firmness. Place tortillas on plate side by side. Place a fried egg on each tortilla. Spoon green salsa over one egg. 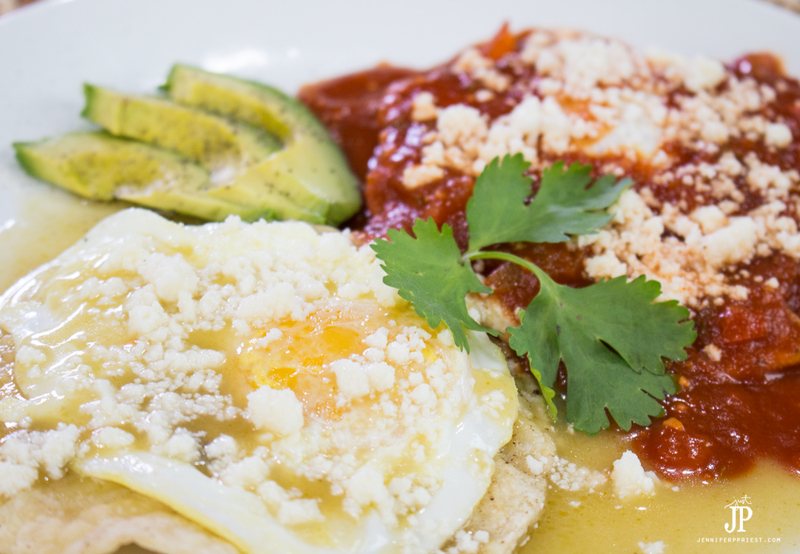 Spoon ranchero sauce over the other egg. 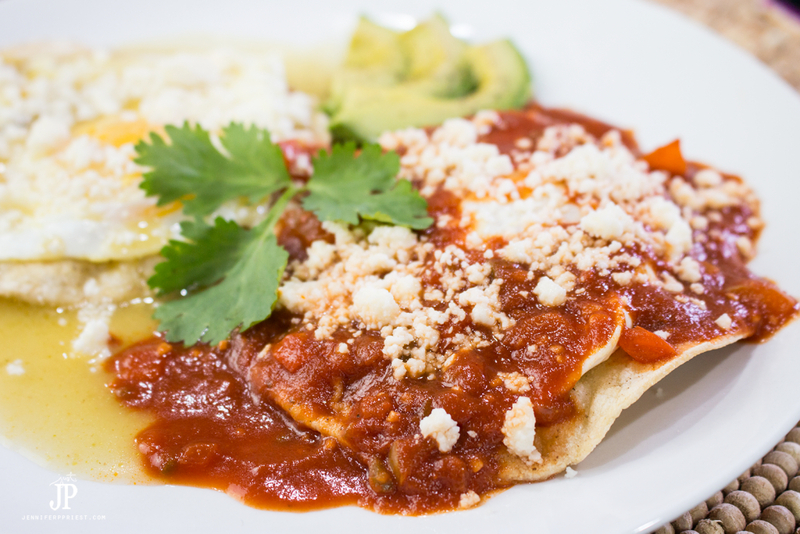 Sprinkle cotija cheese on top of the eggs and sauce. Serve with sliced avocado. 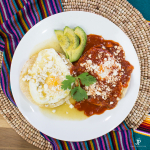 Next time you don't know what to make for breakfast, try this Huevos Divorciados recipe! And if you're paleo, like me, try the substitutions I mentioned for the tortillas. The chorizo potatoes with the eggs and ranchero sauce … so delicious! 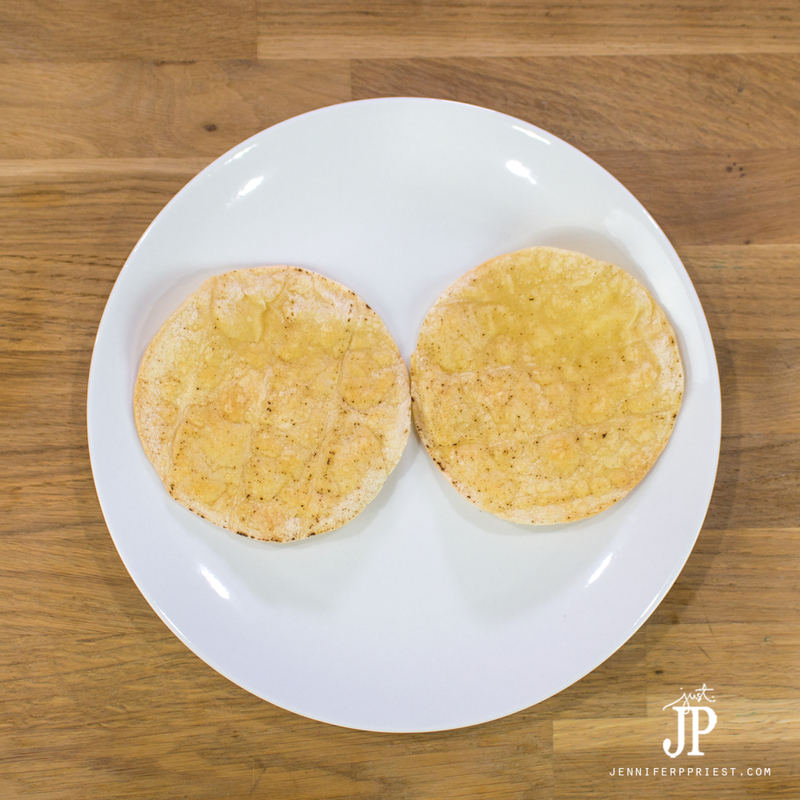 What's your favorite breakfast? Please share in the comments section! Yum! This looks great! 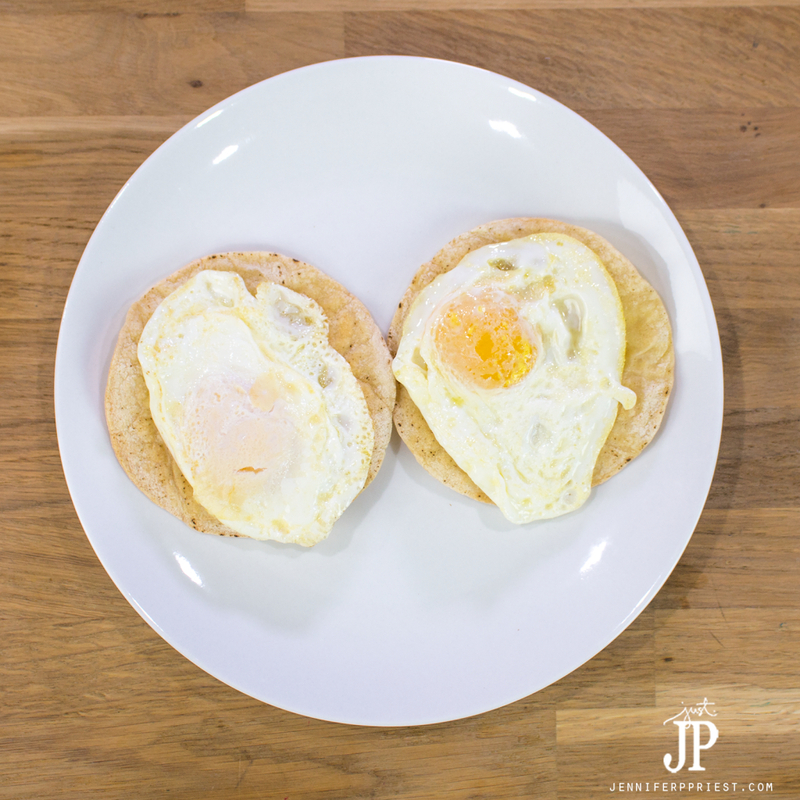 My son loves eggs and is learning to cook…going to share this with him! Looks like a great breafast! This looks so delicious! We will be adding it to the menu for sure, thanks for the recipe! My son-in-law would love this. That Ranchero Sauce looks awesome. I might have to put it on something else for myself. This recipe looks good! Great tutorial. The name has always made me laugh too! Yum, I need my frijoles on the bottom of my tortilla and chorizo on top of my egg Simple and looks yummy. Going to try your sauce. I make mine different. 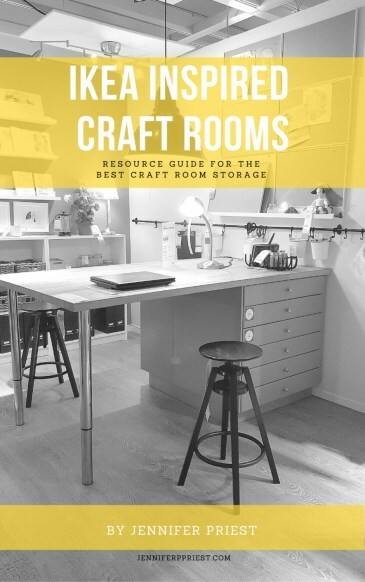 Oh my – I’d LOVE to try this! Looks awesome.